Afterwards we had our very first Element MS Pumpkin Derby! This Saturday we decided to get out and have some fun! The boys made their own bows and went to the archery range, and the girls had a dessert potluck and went to Montara Beach in SF! This Friday we got geared up for Nerf War! On Saturday Oct 13th, some of us attended the Dare2Share Live event for a day of inspiring, equipping, praying, and sharing! On the following Sunday, we had a chance to think, journal, and share about the many things we experienced and were thankful for from D2S. 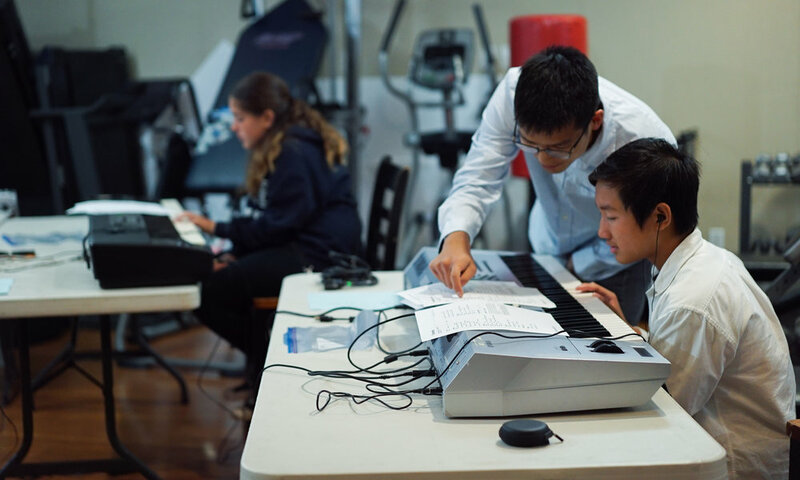 We launched Element Ops, a 4 week training session on playing keys, guitar, operating the sound system, or editing videos! Taught by our Element MS staff! On a fairly warm Friday night of Oct 5th, our youth group took an excursion to Oakland for ice skating!! Check it out! We’ve been wanting to liven up the room with new decor, and this Sunday we had an opportunity to add a new addition to the wall! 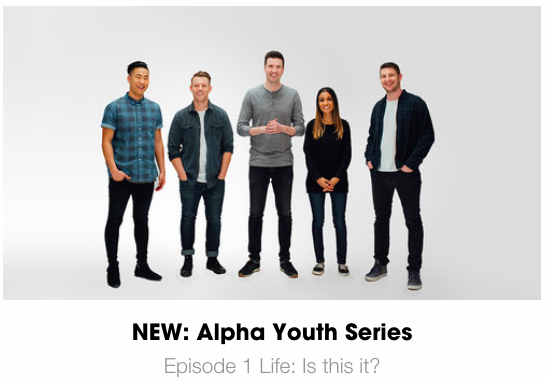 For week 1, we discussed various questions about life and heard different answers from people all around the world! Afterwards, we competed in a series of minute-to-win-it games! The games were led, for the first time, by our very own… MEG! To top off the night we made funnel cakes! 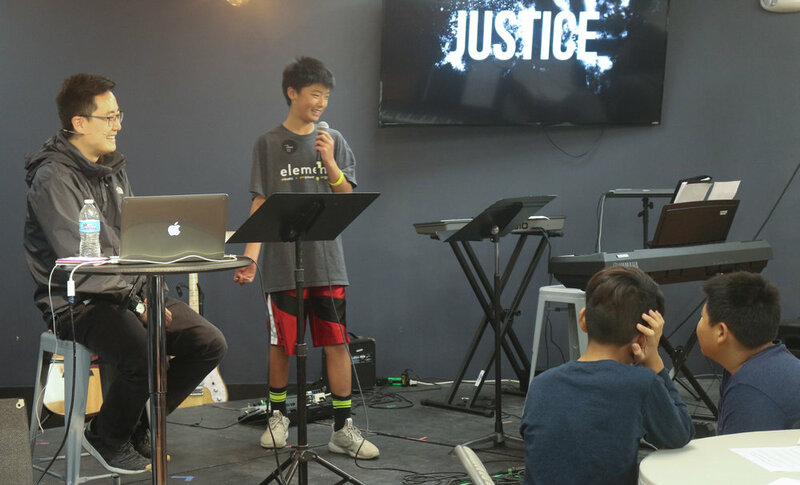 Chris, Jacob, and Jonathan gave the special talk this week on Science & Faith! 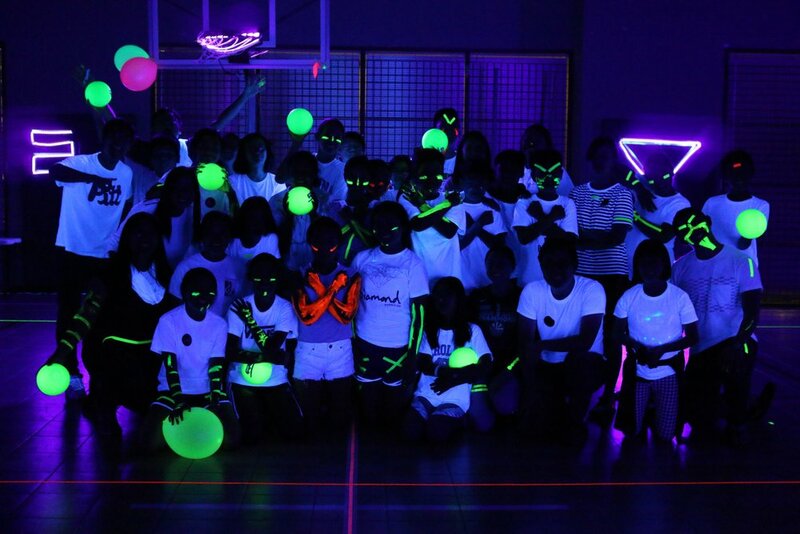 Glow In The Dark Dodgeball! At Fall Welcome Night it was all hands on deck! 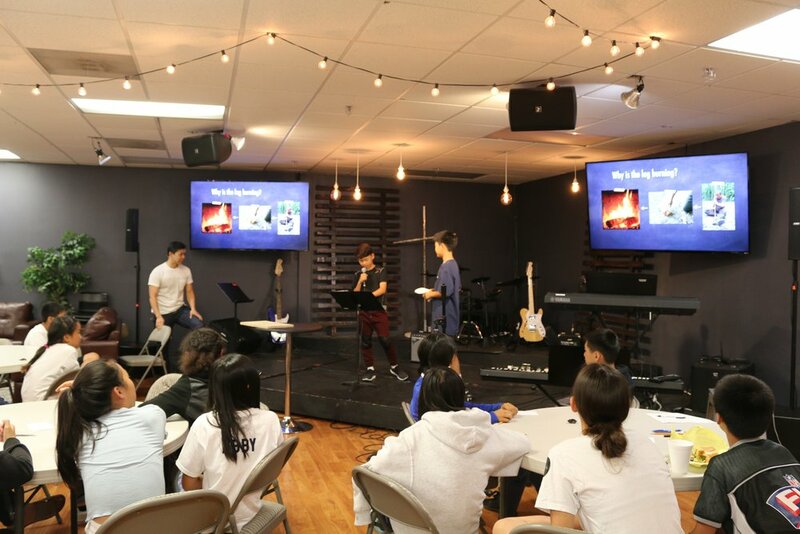 From student to staff, everyone participated to put on the night - the skit, the talk, dinner, decor, and the fun games! After, we played Iron Chef, a contest to create the best ice cream sundae! Secret ingredient - Oreo Cookies!